In order to provide maximum satisfaction to our clients, we engage in the utilization of high grade raw materials and modern machines, in compliance with the set industry norms and guidelines, for manufacturing this range of Bitumat B2 Automatic Welders. Owing to this, the offered range is known have an impeccable functionality and a longer service life. 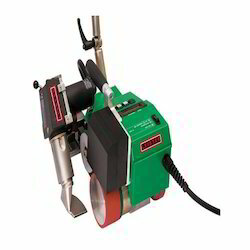 Leister’s Uniroof E Machine, the automatic roof welding machine of the new, powerful compact class, makes it convenient and easy to work with single-ply membranes. 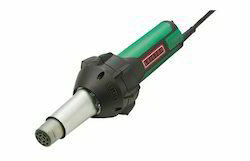 The new 40 mm nozzle means greater safety with overlap welding. 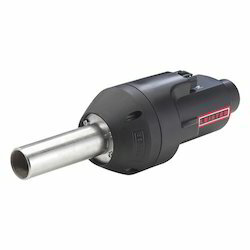 Thanks to 2900 Watt power at only 13A, the tool can be used practically anywhere while providing ample power reserves. For the purpose of making the finest Examo USB available to our clients, we engage in the utilization of high grade raw materials and advanced technology, following the norms and guidelines, defined by the industry. Owing to this, the offered range is known to be having an impeccable performance and longer service life. In addition to this, its standardized quality and reasonable pricing, makes the product highly asked for. 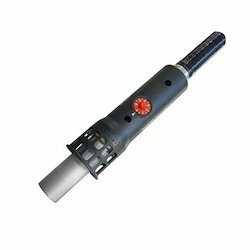 Owing to its integrated temperature probe and integrated heating element, the offered Hot Air Blower Mistral 6 Premium is highly demanded in the market. 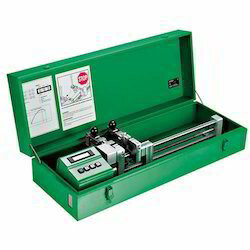 The latest equipment is used for the purpose of manufacturing offered range in compliance with the set industry norms. Due to its automatic cool-down function, the offered range is highly appreciated. 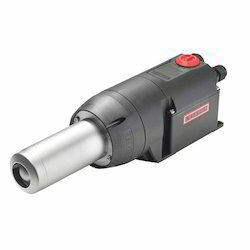 Manufactured in compliance with the set industry norms and guidelines, standard of quality of this Igniter BM 4 Hot Air Blower never deteriorates. For reasons of making the finest available in the market, we engage in the utilization of high grade raw materials and modern machines. This ensures the product’s performance and service life. Further, the range is priced at the most reasonable rate possible. We, "Leister Technologies India Private Limited", established in the year 2008, are one of the leading manufacturers, exporter and suppliers of wide range of optimum quality Plastic Welding Machines. 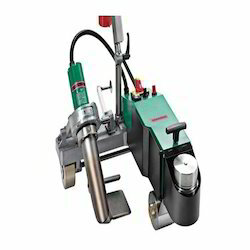 The product range offered by us is inclusive of Hot-Air Hand Tools, Automatic Welders and Extrusion Welders. 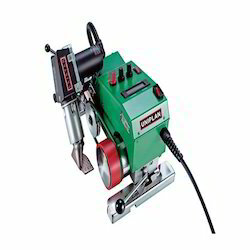 Known for its low power consumption and enhanced functional life, this range of plastic welding machines is manufactured from quality assured materials. Our engineers manufacture these plastic welding machines as per the industry set quality standards by using advanced tools and equipment. In addition to this, we are engaged in offering excellent Repair and Maintenance Services to our valuable patrons. Offered by us, these repair and maintenance services are highly demanded among our customers for their effectiveness and timely execution. Due to its cost effectiveness, these services offered by us are highly appreciated among our customers. We exporting globally. For the ease of our customers, we accept different modes of payment. In addition, we make sure that the premium quality of the offered range of products is never compromised.